The Nissan President (日産・プレジデント Nissan Purejidento) was a JDM only luxury limousine built from 1965 through 2010 as an comfortable safe space for executives, diplomats and gangsters. Somehow, this HG50 generation President made its way over to Canada, where it is now 25 years old and legal for importation to the USA. 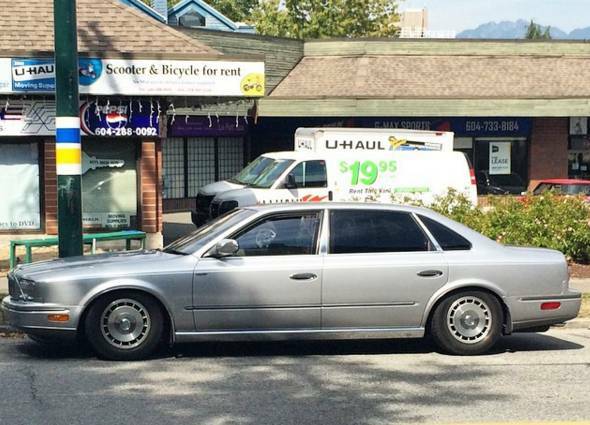 Find this 1991 Nissan President offered for $6,000 CAD ($4,521 USD today) in Vancouver, BC, Canada. Frankly, there hasn't been this much excitement about legal age since Britney Spears turned 18, but with 2016 on the calendar, all kinds of 25 year old Japanese classics are now of legal age for importation to the USA -- such as the R32 Skyline, and this 1991 Nissan President. 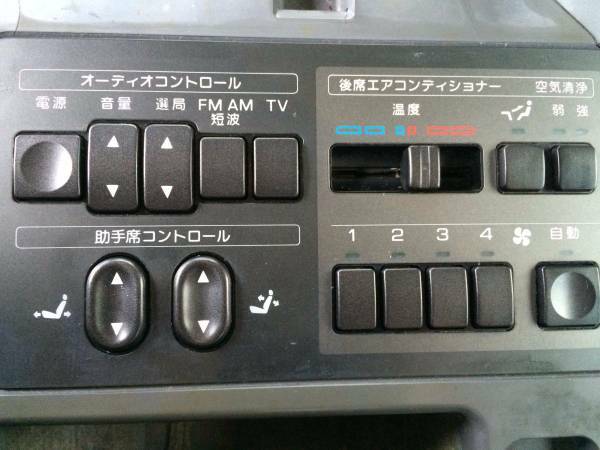 Wow, this thing has FM, AM & a TV from the factory? If you can get past the right hand drive setup and Japanese instructions on the climate control, this could be quite the fun cruiser. 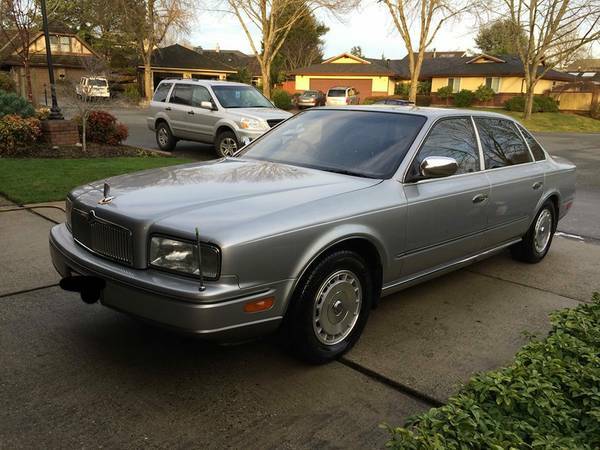 Is this built on a stretched Q45 platform? It basically looks like a Q enlarged on a copier by 5%. This car would be ignored on the street by all but the most diehard JDM lifers. It's super clean and I like it, but it really lacks interest and style. This is the kind of guy to buy a car from, especially a loaded luxury car. It's clearly been babied and looks like it has another 25 years in it easy. If it was local to me and I could deal with the RHD, I'd go check it out. what an exquisite thing! 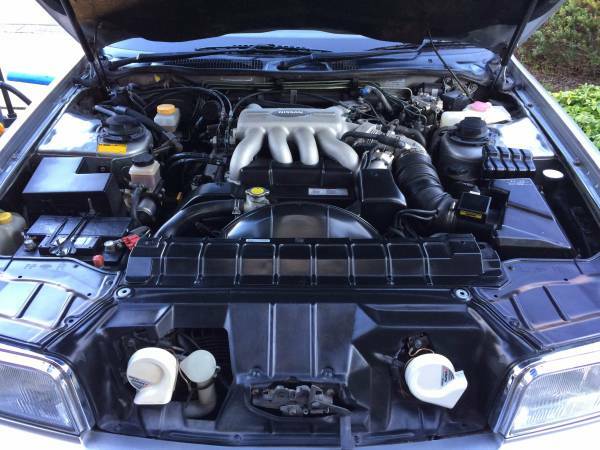 Now just add a six speed and some Brembos. It looks kind of like a Caprice Classic, an XJ8 and a D2 A8 had a baby. Love the Curb Feeler's on the front bumper so you can display your favorite diplomat flag,sport's team,or molson flag or car club (DT)....Happy Feaster to all ! Agreed, my first thought was Jaguar meets Caprice, hit it off and this is what emerged. Is it supposed to sit so low? Look too long and it takes on a fun house mirror dimension.